Full Page OCR Solution for Easy Text Reading! 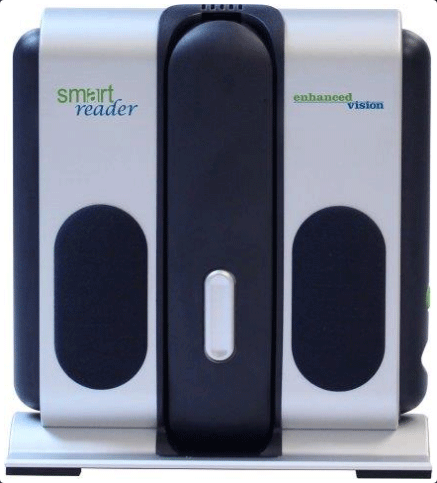 Finally, a Full Page reader that makes reading enjoyable again! 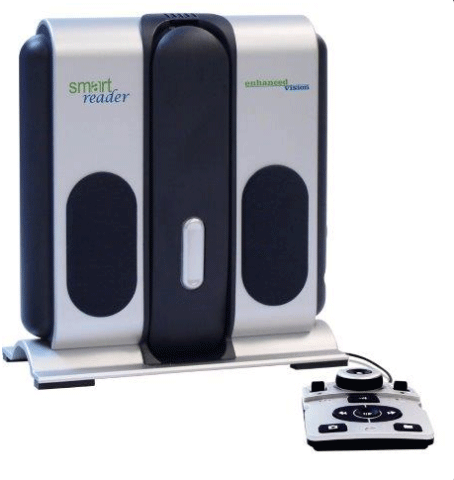 Easy-to-use, Smart Reader boasts a lightweight portable sleek design with a user friendly console. 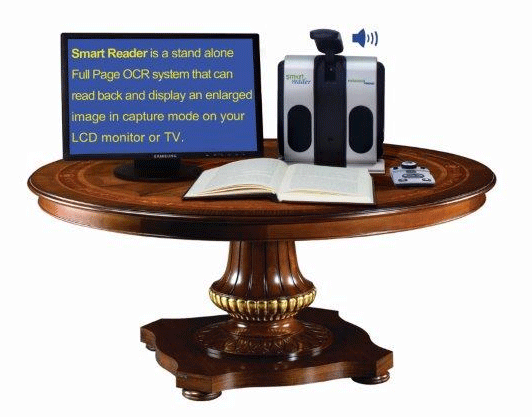 Position your document and press a button, in seconds Smart Reader begins reading aloud. Connect Smart Reader to a TV or monitor and enlarge your captured image to follow along as it reads. 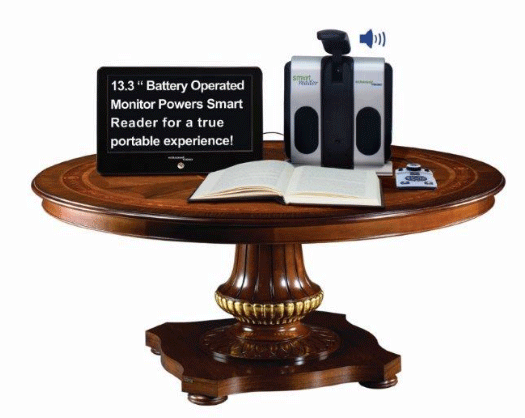 For a true portable experience, attach Smart Reader to our new 13.3” Portable Battery Operated Monitor and enjoy up to 3.5 hours of reading anywhere! Perfect for work, home, school, vacation and on the go. 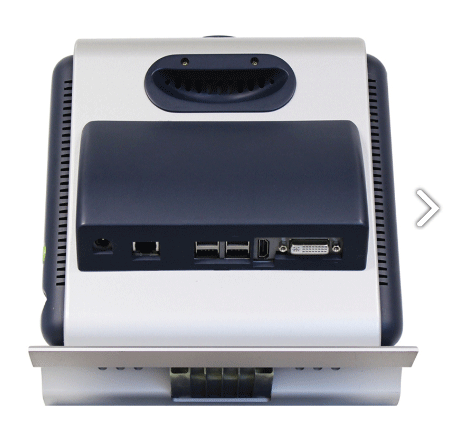 Connect Smart Reader to 13.3” Portable Monitor, or any desktop monitor or TV (HDMI & DVI) and view the enlarged image in capture mode. 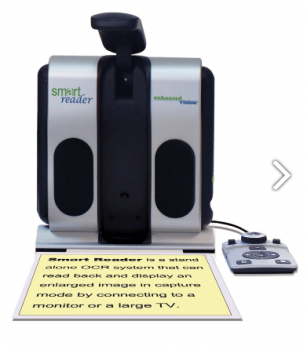 Read along and listen as Smart Reader reads aloud. A convenient built-in handle and lightweight design allows for easy transport anywhere you go.